At MIA Photo Fair 2016, MyTemplArt® presents two new solutions to support the certification and authentication processes of artworks, to fight counterfeiting for the safeguarding of the cultural heritage: the process related to the validation of certification in a computerised way and the electronic safeguarding system for the Certificate of Authenticity in paper version by QR-Code. Until now, the process for requesting and release of Certicate of Authenticity was characterized by long lead times and dynamics not always clear to everyone. The archives hold the paternity of the certification of the artworks of the artists, usually already historicized, through the release of the Certificate of Authenticity. This document is also released by the same artist or the gallery that represents him, during the sale of the artwork, to ensure the uniqueness and the authenticity. These processes are long, tortuous and expensive, full of papers to send with interminable waits. MyTemplArt® revolutionized the artistic and cultural sector launching in the market innovative solutions to simplify and expedite this process. Archives, galleries and artists will release the Certificate of Authenticity of the artworks through the MyTemplArt® platform and manage the process for requesting and obtaining from www.mytemplart.com directly. In addition, all users could proceed to the authentication request through the platform, facilitating the formal process, shortening the time and guaranteeing the reduction of costs. In particular, if the authenticator of an artist is registered within MyTemplArt®, the system recognizes its presence, and so offers the possibility to the user, who has one or more artworks of that artist, to request the Certificate of Authenticity. Who requires and who releases will follow the status and the tracking of the process from the own account directly, share cataloging sheets with the authenticator and send all necessary documents to complete the process for requesting of Certificate of Authenticity that will be previously established from the authenticator account. The authenticator establishes the policies and conditions to request a Certificate of Authenticity declaring also the price in order to ensure maximum completeness and transparency. The release service of Certificate of Authenticity is available for MyTemplArt Premium users for the affordable price of 150 EUR per year. The form for requesting the Certificate of Authenticity is free and accessible from the menu of all accounts of the platform. MyTemplArt® has introduced an innovative electronic safeguarding system for the Certificate of Authenticity in paper version by a special QR-Code that allows the traceability, the anti-counterfeiting, “locking it down” to the collector and to his artwork. From April 28th, two MyTemplArt® apps will be available for iOS and Android related to this safeguarding system: MyTemplArt Pro and MyTemplArt Reader. 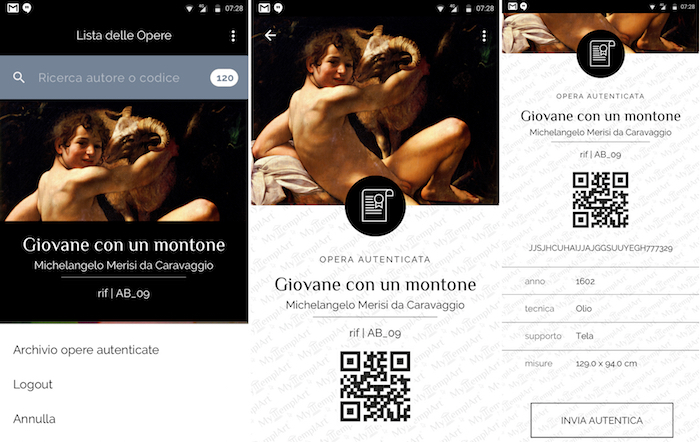 MyTemplArt Pro is for authenticators and allows QR-Code encoding in order to lock it to the artwork and to the owner throught his phone number, and synchronize the artwork sheet with the Certificate of Authenticity on cataloging platform MyTemplArt®. MyTemplArt Reader is for collectors and all those who have authenticated artworks with the QR-Code MyTemplArt® Authentication System. The app allows the reading of the QR-Code on the Certificate of Authenticity only by the phone number associated with the owner. Anyone who is not the owner and try to read the QR code through MyTemplArt Reader app can not display the information on the artwork and the MyTemplArt® system will notify the real owner of an attempted access. The QR-Code is made of special materials that make it not cloned and impossible to remove when it is attached on the paper. So the QR-Code guarantees the authenticity of the document, preventing the counterfeiting. MyTemplArt® is working to facilite processes related to the art industry through the use of technology and secure, easy and scientific information systems. The whole art community, by registering on www.mytemplart.com, can use the services offered by the platform and tools to syimplify and speed up the management of the artistic Heritage. 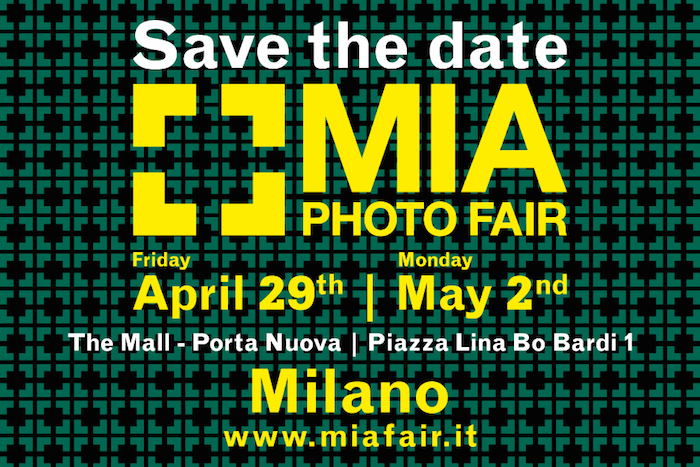 MyTemplArt® will be with its own stand at MIA Photo Fair 2016 from April 29th to May 2nd 2016 at The Mall, in Piazza Porta Nuova Lina Bo Bardi, Milan, Italy (www.miafair.it). The team will be available to show MyTemplArt® solutions and the new authentication services through demos and simulations. 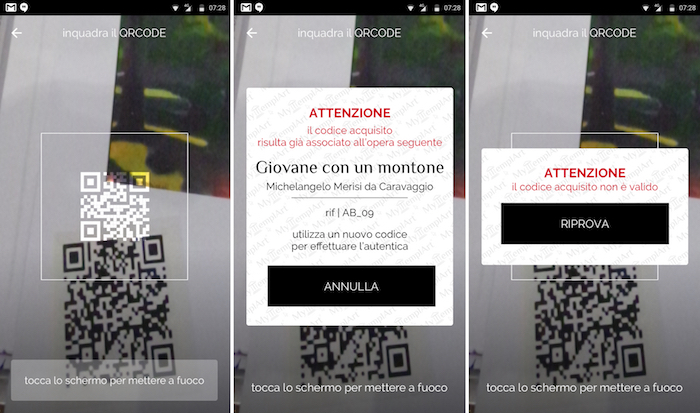 In the stand will be displayed artworks by Luigi Gattinara that will allow to see live QR-Code MyTemplArt® Authentication System working on the Certificate of Authenticity and the interaction with two MyTemplArt apps. Finally, Friday, April 29th at 6 pm in MIA Photo Fair, MyTemplArt® will present these services during the talk Certify the authenticity of artworks. The technology supports “art” system. The artists Luigi Gattinara and Alex Pinna will talk about the certification and the importance of ensuring the authenticity in the artistic sector. Gianni Pasquetto, MyTemplArt® General Manager, and Paola Sacconi, MyTemplArt® Communication Manager, will analyse Project advantages in relation to these topics. MyTemplArt® is a Artechne Srl brand, innovative startup founded in July 2013. The many years of “know-how” in IT processes management, combined with the experiences in the art industry, have highlighted important criticalities of the sector. It’s born MyTemplArt® project. 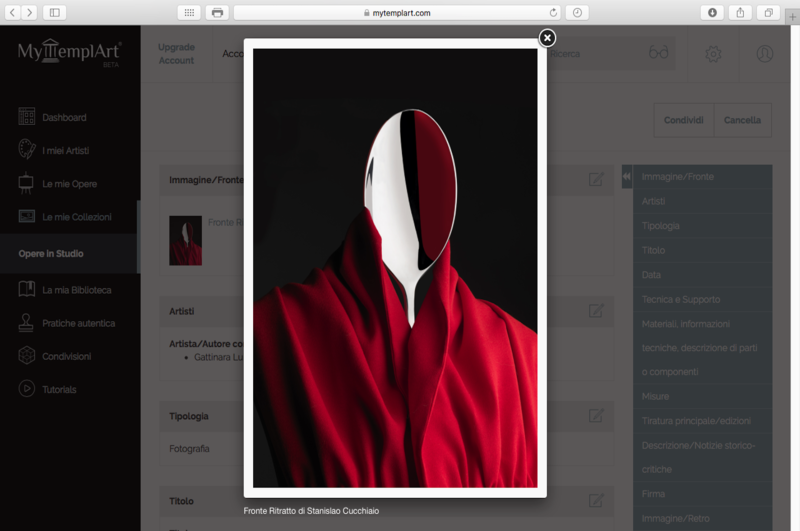 MyTemplArt® is an innovative digital tool for cataloging, sharing and safeguarding artworks and their documents addressed to the whole art world. A cloud platform user-friendly that allows: to work, edit, view artworks and/or documents from any location; share information according to the filters and user-defined mode ensuring security and privacy; safeguard and valorize the Heritage through a simple, complete and unique cataloging solution. MyTemplArt®, in addition to being a technological solution, reduces costs by optimizing processes and increasing revenues through more effective disclosure. Cover Image: Image detail, Artwork sheet – Stanislao Portrait Spoon by Luigi Gattinara inside MyTemplArt® Platform.